We all tend to think of our years of college as a time for fun as well as hard work. However, for about one-fifth of college students, it is a time of anxiety and depression. There are several reasons why they suffer in this way, and there is help available if they need it. There are also some things they can to do try and help themselves. 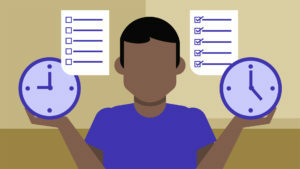 The first thing students need to do is learn to manage their time. They have probably just left home where they were told what time their meals would be ready, when they had to be home in the evenings, and possibly with mom or dad getting them up for school. Now it is all down to them, and it can come as a big shock to the system. Colleges are aware of the challenge this can be for some students, and many offer assistance with time management. When students start to have trouble concentrating, meeting deadlines, sleeping, feeling angry or irritable, or avoid activities they used to enjoy, they need to realize they are not the only one feeling overwhelmed by the huge change in their lives of attending college. Certainly, to start with, many of the other students will be feeling exactly the same, and they should talk to each other about how they feel, as nothing is worse than thinking you are the only one suffering. Alternatively, if they feel that perhaps they do not know any of the other students well enough to discuss such personal issues, meeting with a psychotherapist could be the answer. There are several ways students can help themselves to manage the stress in college, including getting enough sleep, eating regularly and healthily, making sure they exercise and forgetting the stimulants as in the long run they will add to any stress. Most colleges have counselling services that are available for students to take their problems to. This can be a huge help to some students, but for others it is not enough to relieve their anxiety or depression. 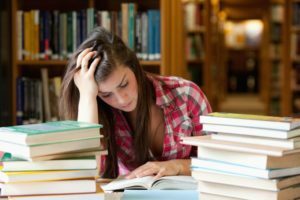 There are times when professional help is needed if the student wants to complete their college course without ending up a nervous wreck. 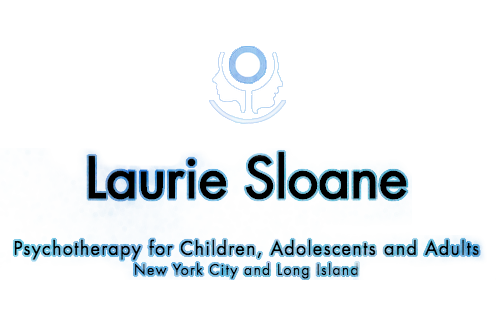 If you think this could be the solution for you, contact us today to arrange an appointment with the best Psychotherapist in NYC. We all tend to think of our years of college as a time for fun as well as hard work. 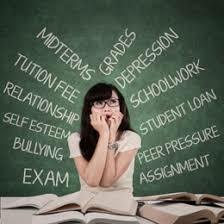 However, for about one-fifth of college students, it is a time of anxiety and depression. ← Why Are College Students Getting Anxious and Depressed?